The Bonhomme Wrestling Club was founded in 1976 by a group of dedicated parents of the Bonhomme Football Club (now Chesterfield Football). 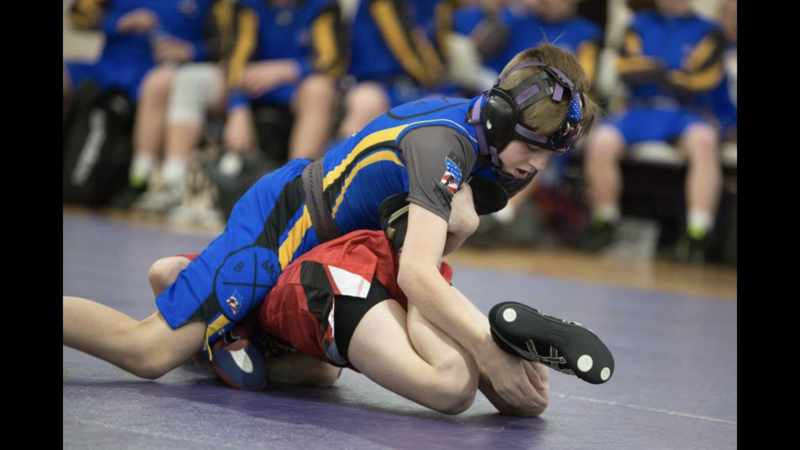 Since its inception, Bonhomme has earned the reputation of being one of the premier wrestling clubs in the State of Missouri and has 14 AAU & USA State Team Championships and hundreds of individual State Champions to its name! The club is comprised of youths between the ages of 6 and 15 years old that will ultimately feed dozens of St. Louis area high schools such as Lafayette, Marquette, Eureka, Parkway South, Northwest, CBC, Parkway West, Ladue, Parkway Central, Whitfield, Pacific, Wentzville, Rockwood Summit, and more. If you would like to be a part of the future of Bonhomme Wrestling, please register online or contact a board member if you have additional questions. USA: THESE ARE THE 4 club Sponsored ones that we will be competing in as a team, and their will be Hotel Blocks reserved and you can get the Bonhomme Rate as well....That way we all stay together..
Holiday Inn Express, mix of rooms as we booked the last 10 available. I will call on the day of release and see if there were rooms released from the other team. We stayed there last year. If we need more rooms I will have to try another hotel but because we were divided last year we only used 4. Rate is $104.00 same as last year. SIGN-UPS NOW OPEN..SEASON STARTS IN NOVEMBER. Bonhomme has 3 specialized programs that allow each kid to reach their full potential. LITTLE BADGERS: this is an introductory program for those 7 and under to teach the foundational skills, body awreness, and mental toughness necessary to to succeed in this sport as well as every other sport. The weekly practices are fast paced and game oriented. THERE LIMITED SPOTS in LITTLE BADGERS SO THAT WE CAN GIVE EACH WRESTLER THE ATTENTION NEEDED. AAU: This is where all Beginner/First Time wrestlers should start. We divide the wrestlers into a BEGINNER room and an EXPERIENCED room. This allows us to focus on the foundational skills and work on the skills that are needed to compete at the beginner level. USA: This is for wrestlers with 1 or more years of tournament competition that are looking to compete both locally as well as in some out of town tournament. All USA wrestlers are expected to compete in the USA state wrestling series with Bonhomme as well. Please contact us if you have any questions as to what program is the best fit for your wrestler..